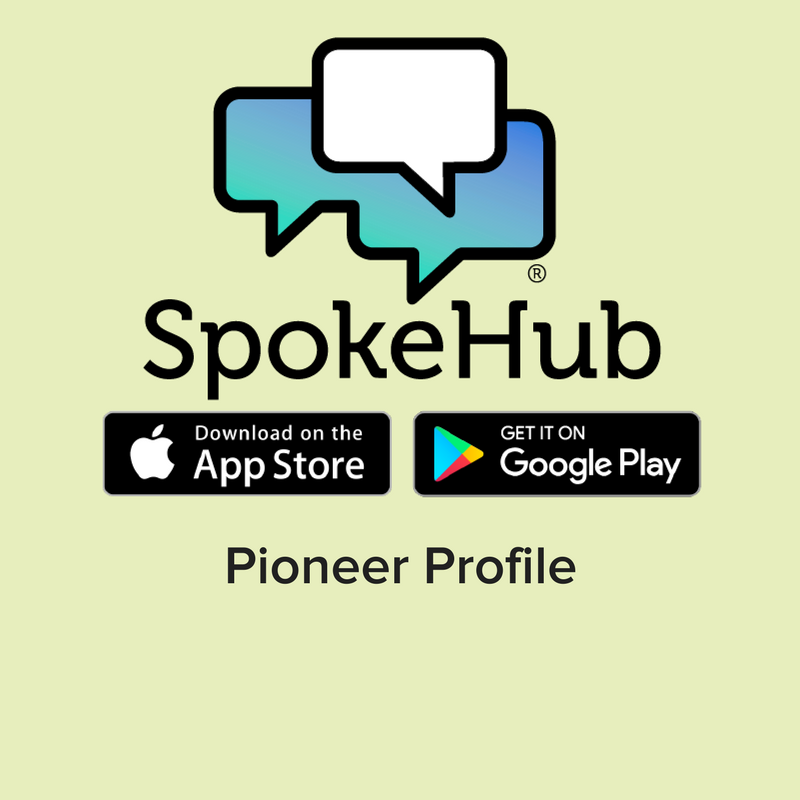 SpokeHub is a startup that decided to locate their company at The Frontier. Learn more about this new social application in our most recent Pioneer Profile. The story behind SpokeHub is pretty relatable. Chief executive officer Robert Harsfield, Jr. likes to say that he got tired of not having a good audience to talk with about bad sports calls. Any sports lover would probably agree that Facebook isn’t the best place for that kind of conversation. He remembered the days of chat rooms, and started imagining a place where people could gather in groups to talk about things that were important to them via smartphone. From this, the idea of SpokeHub was born. At its core, SpokeHub is a mobile app that allows users to join various ‘spokes’ centered around specific topics. There are spoke for televisions shows, fashion brands and yes, sports teams. Conversation groups can also be made private, which is a great way to keep up with friends, family, or even co-workers that might be located across the office. SpokeHub first came to know about The Frontier through their participation with a program organized through American Underground and Google called the Google for Entrepreneurs Exchange Program for Black Founders. As part of the program, SpokeHub’s leadership came to The Frontier for a tour and to hear from RTP companies and startups that had located their businesses in the area. When it came time for the company to expand, they chose to do so in Research Triangle Park at The Frontier. “RTP and The Frontier have been an integral part of our startup success here at SpokeHub,” says Richard Berryman III, head of business development for the company. “It’s helped our business take off.” Richard describes the community of fellow entrepreneurs and neighbors with a collaborative attitude as a contributing factor to their success thus far. And, it’s a success that keeps growing. SpokeHub has snagged high profile partnerships with the new movie Marshall and comedian George Lopez. They’re also actively working on a new enterprise sector of the business that can be used by corporations to gain real time feedback from customers. In some ways, this two-pronged approach only doubles their chances of long-term success. All of us here at The Frontier can’t wait to see the SpokeHub team continue to grown and thrive. The SpokeHub app can be downloaded via the Apple Store, Google Play, or used on desktop. To learn more about the company’s enterprise functionality, take a look at their recent white paper.